My name is Michael Singleton Haworth, nicknamed “Howie”. I was born and raised in Zimbabwe and now live in South Africa. Zimbabwe was a fantastic place for youngsters to grow up, where opportunities abounded to get into the bush. I have two great ‘shamwaris’, Mike Condy and Adrian Lombard, whom I known for around 60 years. All of us have a great love of the bush and birds. Our interest in birds started in junior school where we used to collect birds and ‘blow’ bird eggs. These were duly preserved for our collection, which was housed in our natural history museum in Adrian’s bedroom. Cameras were not available to youngsters in the 1960s, so we sketched birds and animals, helped by Walter Foster’s very instructive books. Mike’s dad, Dr John Condy, was the chief wildlife vet for the Zimbabwean Department of Veterinary Services at that time and had a great influence on all the kids in the valley. As a double doctorate, he was very knowledgeable and a wonderful storyteller, both factors helped stir young minds and were instrumental in creating a life-long quest for more knowledge about nature with a deep appreciation of its inter-connectedness. All three of us went to a wonderful bush school in Zimbabwe called Falcon College. Our membership of the ornithological society and Sunday outings with well-known raptor photographer Peter Steyn (then our english teacher) served to enflame our passion for birds and the bush. 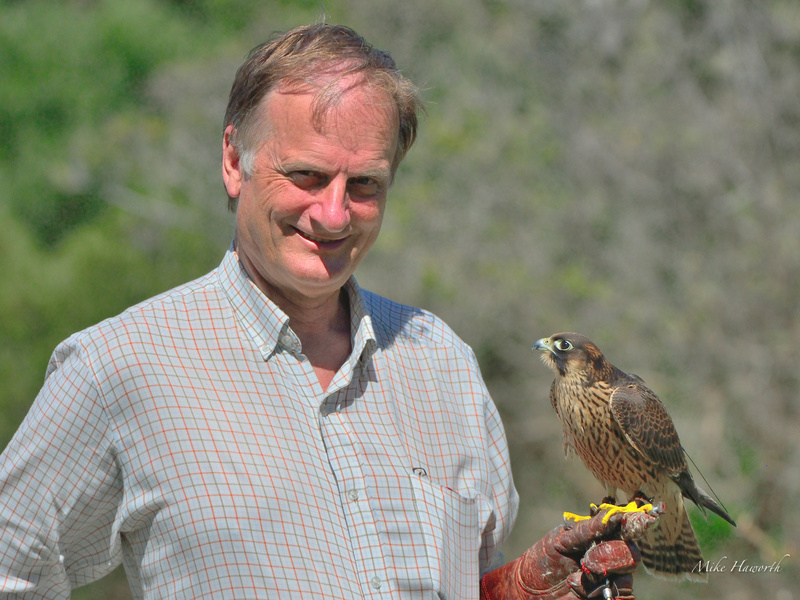 It was here that Adrian found his love of falconry, which has been a life-long passion. He is currently very active in the South African Falconer’s Association and the International Association for Falconry and Conservation of Birds of Prey. While I have been interested in photography for the last thirty years, I had not been in a position to afford decent equipment until eight years ago. At that time, I got to a point where I was so frustrated with the quality of my shots that I decided to up my game or quit. I decided to up my game. Fortune smiled on me. I got tired of corporate life, so started my own investment strategy consultancy and with a little extra time took myself off to a photographic workshop in September 2008 in the Kalagadigadi Transfrontier Park in South Africa, run by Lou and Veronica Coetzer of Coetzer Nature Photography. This trip was a revelation. It reignited my passion and put me on my current amazing photographic journey. Lou and Veronica, I am eternally grateful for this. I have been on many photographic safari workshops with Lou and Veronica since that time, on the Chobe River in Northern Botswana, Etosha National Park in Northern Namibia, Serengeti and the Masai Mara. These workshops have enabled me to try new top end Nikon equipment so that I could work out which equipment was right for my needs and pocket. Lou and Veronica have been wonderful teachers and are very generous with their vast knowledge. Their passion for photography is infectious. South Africa abounds with incredible places to do wildlife photography. The banks of the Chobe River have been cleared by the vast herds of Elephant in that park. The benefit to photographers is that there is an abundance of clean backgrounds. The same is true in the Kalagadigadi, Etosha, the Masai Mara and the Serengeti. These areas are teeming with game and birds. The Kruger Park and Mashatu Game Reserve also teem with game and birds but photographers have to work harder to achieve clean backgrounds. One bonus has been that my photography has vastly improved my knowledge of birds, partly because you can see the birds in such detail with the long lenses. Another factor which enhances bird knowledge is that a photographer needs to take great note of behaviour. This allows anticipation which improves the chances of getting that unique shot. My wife, Helen, has been my biggest supporter, encouraging me to spend the money to buy decent photographic equipment and pursue my passion. 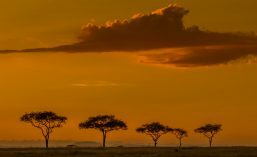 Having been on many of the photographic workshops to the Chobe, Etosha, Kruger and Mashatu, Helen now has an eye for what makes a good photograph. She picked up this knowledge from Lou and Veronica Coetzer. Photography is teaching me to see and is fueling my fascination for the world around me with all its colour, shape, texture, movement and pattern. Photography for me is a journey of discovery. It is my intention to create a photo gallery illustrating the diversity in our wildlife and its inter-connectedness, and hopefully showing its beauty and wonder. There is a conservation theme running through all of my posts and pages in this blog because of the terrifyingly quick destruction of habitat and wildlife numbers, especially in Africa. In my wildlife photographic blog, my wildlife images are the central focus, but I also intend using a “popular science” approach to relaying interesting information about the wildlife and anecdotal stories, either describing personal experiences, or stories and information heard from wildlife guides. The idea is to generate a fascination in wildlife, showing its astounding natural intelligence and inter-connectedness. Our generation will certainly not be able to say we have been careful custodians of our continent. The associated idea of inter-generational fairness is under threat. The rate at which wildlife is being destroyed by population growth and consumption by the most voracious predator group on this planet, the human race, I am not sure how many wild places, or how much wildlife or diversity we will leave for our children and their children. The human misconception seems to be that we dominate all life rather than live in a community with all life – we are certainly not demonstrating our so-called superior intelligence as a species as there appears to be little sustainability about our current levels of consumption relative to our investment in the future. I aim for continual quality improvement in the gallery. As soon as I can get a better quality shot of a bird, mammal, insect, reptile or scene, I will upgrade the existing one in my species pages. The idea is to constantly improve the photographic and story-telling quality of my photographs. Obviously this is an eternal quest. I hope you enjoy my wildlife images and stories. Hi Mike. What a nice site. Well done and hope to see you again soon. Howie – So proud of you. I love every aspect of your site. The diversity is fantastic and your photography just seems to get better and better. I look forward to sharing many more special moments with you. Congrats on this very exciting site. Hi Mike! Wow!! Nice…. I love your website! Hi Mike, congrats on a wonderful website, awesome photos with loads of interesting facts, very well done!!!! Hi Elana, Thanks for your super comments. I am glad you find the facts woven together with the story an interesting addition. Hope to see you on a CNP trip soon. Hi Diane, Thanks for your response. The Condys are old family friends from Salisbury. I am still great mates with Mike and Dave Condy and see them regularly. They also live in Johannesburg. John died many years ago and Joan died about six or seven years ago now. Cathy and Diana still live on the family property on Collins avenue with their respective families. Let me know if you want me to pass on your link. It certainly is a small world held together by warm memories! Hey Mike – never too old to learn new skills ? Your photographs are wonderful….in the day to day existence we forget how awe inspiring nature can be..well done for reminding us. Terrific portfolio!! To point a camera an press the shutter is one thing. To produce photographs of this standard requires passion and an artists eye. Exceptional site. Congratulations. Mike I’m interested in your dad and his work with buffalo. I know he impressed Lindsey Hunt with his help & knowledge on ‘Capes’ helping him start the breeding program for disease free buffalo. I’m also interested in your name ‘Condy’. There is a Dr. Pat Condy who used to be the director of the Jo’burg zoo. He left so. Africa when the ANC took over and came to America. He spent some time in Boston and now is the CEO of a wonderful wildlife cntr. in Texas called ‘Fossil Rim’. Is Pat Condy any relation to you or your dad? Hope you can help me out. Hello Jim, Thanks for your comment. John Condy was my close friend Mike Condy’s father. John Condy had a brother Vere Condy who had four children, the eldest of which was Pat Condy. So Pat Condy is John Condy’s nephew. Yes, Pat Condy was the director of the Jo’burg Zoo before moving to the States.